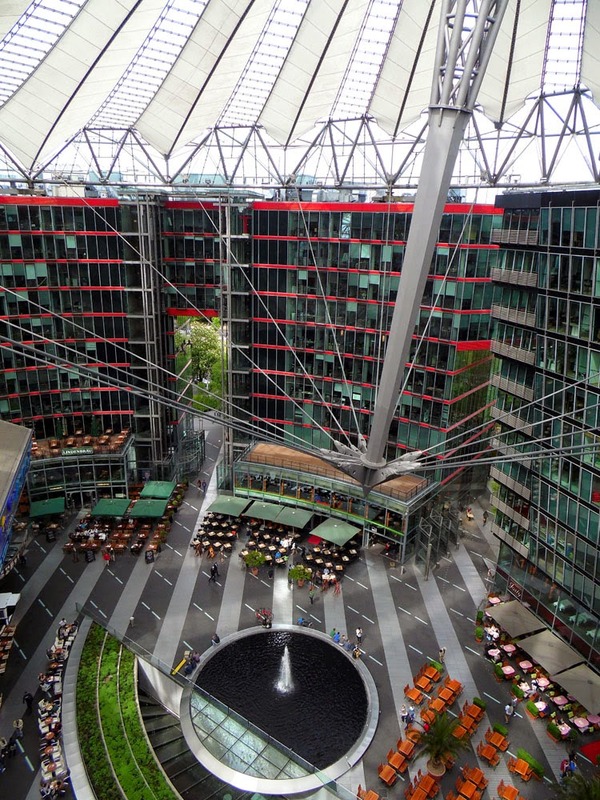 The Sony Center on Potsdamer Platz is an amazing space. 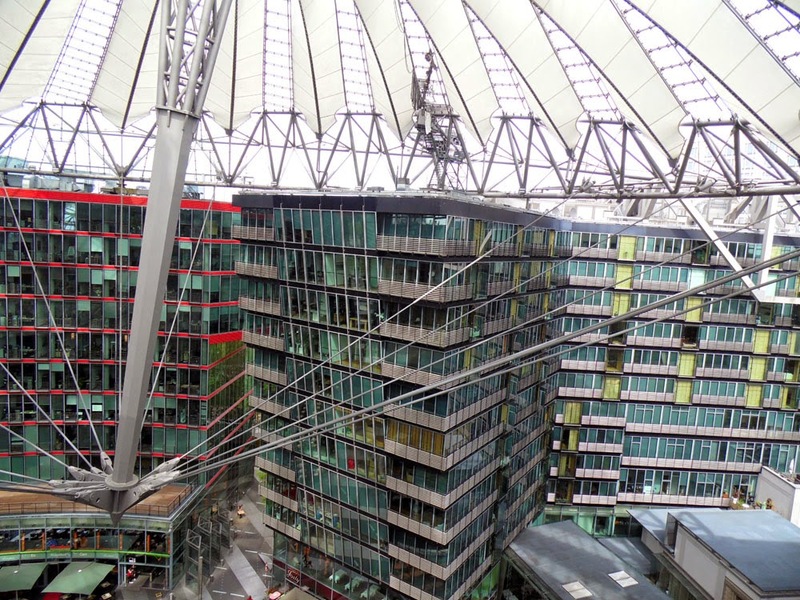 Besides being a great place to chill out and admire Helmut Jahn's circus tent-like roof, it also houses one of the best cinemas in Berlin for original language films (mostly English) at the Cine Star. 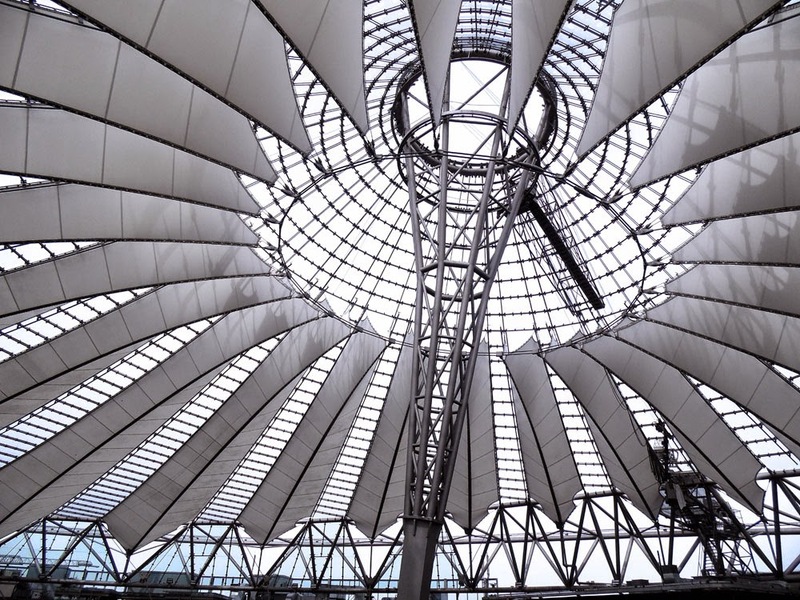 Add to that the awesome Imax 3D screen and the extremely interesting Museum für Film und Fernsehen, then you have a great film-fantastic day out. That's especially if you go on a Thursday when the Museum is free from 4pm to 8pm. If you like Lego or trying out the latest Sony devices then you might feel like you are in heaven. Disappointingly though, the food and drink on offer is not cheap. Here is a tolle Tipp for you then. 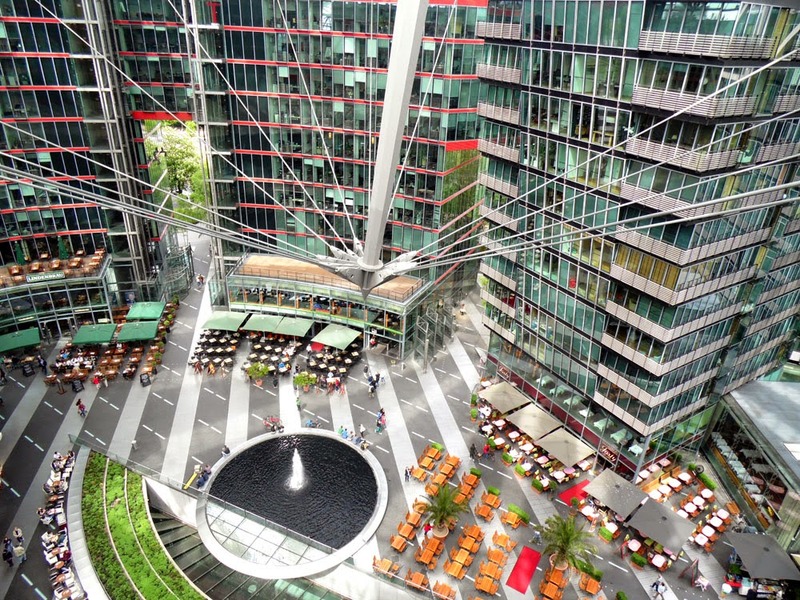 Shhh, don't tell everyone, but there is a cafe on the ninth floor that not only has the most fantastic views of the Sony Center but is perfect for popping up to for a light lunch or afternoon Kaffee und Kuchen. The cafe is called PS-ZWO and is primarily for the use of students and lecturers at the DFFB (the German film and Television Academy), but it is open to the public too. Get to it by taking the lift as if you were going to the entrance of the Museum für Film und Fernsehen, but go all the way up to the top floor. Prices are cheap enough, especially for the location, though don't expect anything too fancy. You didn't read about it here. You didn't see these photos I took from the cafe balcony. And for goodness' sake behalt es für dich! (Keep schtum!). We don't want all the tourists crowding the place do we?